In the latest developments of the Apple vs Samsung patent battle Cupertino-based Apple was briefly successful in banning Samsung Galaxy Tab 10.1 sales in Europe. Thankfully the injunction on the Apple iPad 2 rival has now been lifted, but this is unlikely to be the last about on of the biggest legal battles in recent tech history. Back when the world was amazed by Apple's first iPad it quickly became the 'must have' gadget of the year. Sadly the Israeli government saw its Wi-Fi antenna as a 'risk' to their current wireless hardware, so promptly banned imports and ownership of the product. Those who owned one had it placed in storage until they left the country. As with many of these bans, it was proven that in fact the iPad did nothing of the sort and so the ban was lifted. One of the most widely covered bans in recent years, this involved the refusal by BlackBerry to let both countries access the encrypted data that's sent between their handsets. The UAE deemed that by not knowing what was being sent it raised "judicial, social and national security concerns". As a result they said they'd ban messaging, instant-messaging, email and all the other functions that didn't comply with their requests. The ban was short-lived and two months later was lifted. After a page was found which encouraged users to draw pictures of a deity, the country banned the social network for being 'blasphemous', this was soon followed by YouTube being blocked. The government didn't hold out for long though as just a couple of months later they lifted the ban entirely. Yes that's right, even though 'Eco-Arnie' has left, the state is still in all out war against energy consumption, even if that means your 60-inch Plasma TV. Put into action in 2009 this proposal was pretty far-sighted considering we are now seeing plasmas lose popularity in favour of lower consumption LCDs. LG dealt a total bruiser of a shot earlier this year when it got a European court to ban all imports of the Sony PS3 over...yes a patent row. Luckily for Sony the temporary injunction was soon overturned but it marks one of the biggest legal injunctions ever to occur in the industry. After what's been months of legal ping-pong the ball ended up in Samsung's court after Apple succeeded in getting a German court to ban all imports of the new Samsung Galaxy Tab 10.1. It's alleged that the tablet is in violation of several patents held by Apple. The injunction has since been lifted but we imagine this won't be the last we hear about it. Segways have not just had a bad time of it in the UK after the government banned them from pavements and roads. The Netherlands banned them altogether after they claimed that the lack of a conventional brake was simply too dangerous. China, the communist state which has a long and prestigious history of banning online services banned Skype back in 2010 after it cited 'safety concerns' allowing only two companies to provide a video-calling service. Incidentally they've also banned Facebook, Twitter and Google. Law 3037/2002 was one of those head-scratching moments where the Greek government tried to prevent online gambling, but apparently could only do so by banning all video games at the same time. This resulted in a situation where using a Game Boy would have resulted in jail time. Since then there have been improvements to the law but it's taken a while, and at one point Greece was paying 31,536 Euros a day in EU fines because of it. 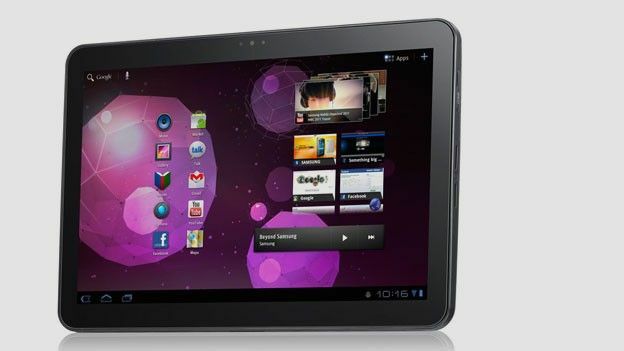 Can the Samsung Galaxy Tab 2 slate rival the iPad?